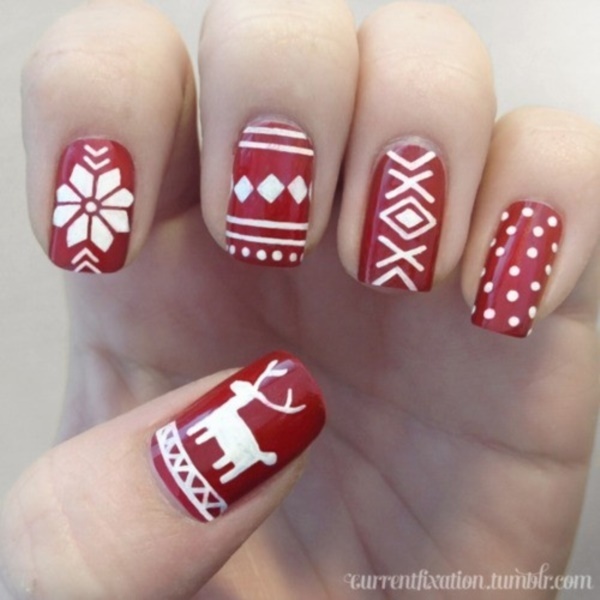 Winters are finally here and Christmas is not far. 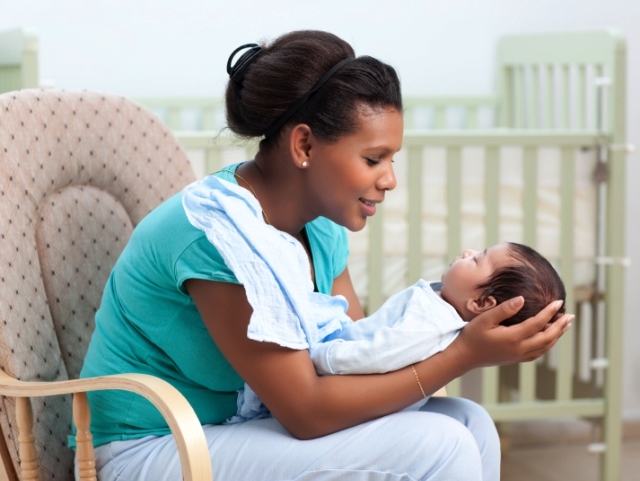 While it’s fun to decorate your home during Christmas, it’s not just your house that needs a decoration. 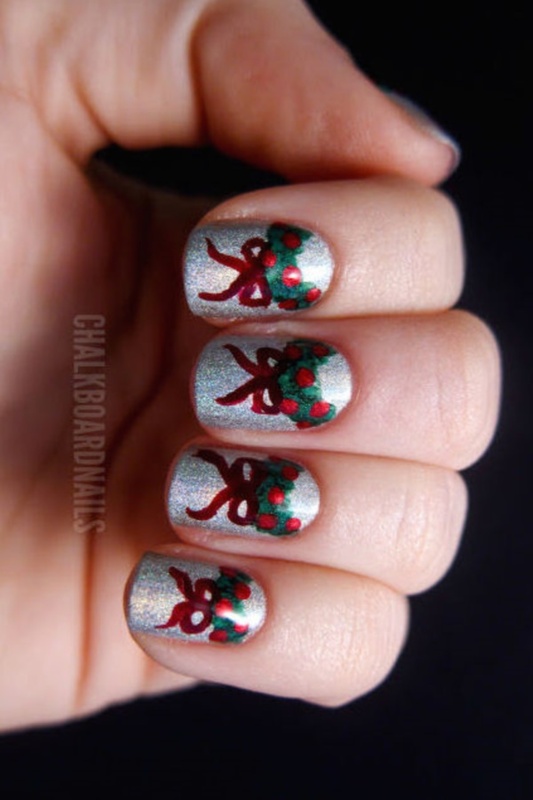 Christmas also makes it imperative for you to get adorned. Since you are going to use your hands a lot while shaking hands with your guests, serving food, cutting cakes, you can’t put your hands at the backseat. 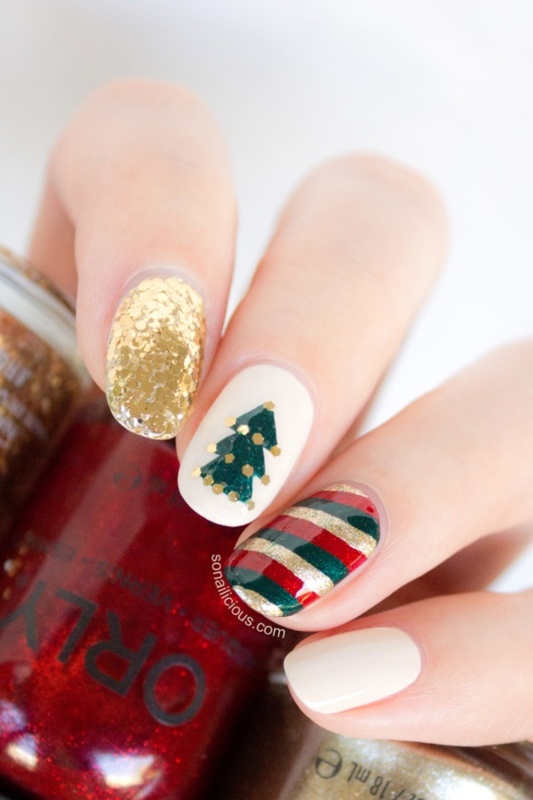 Take care of your hands and make them Christmas ready. 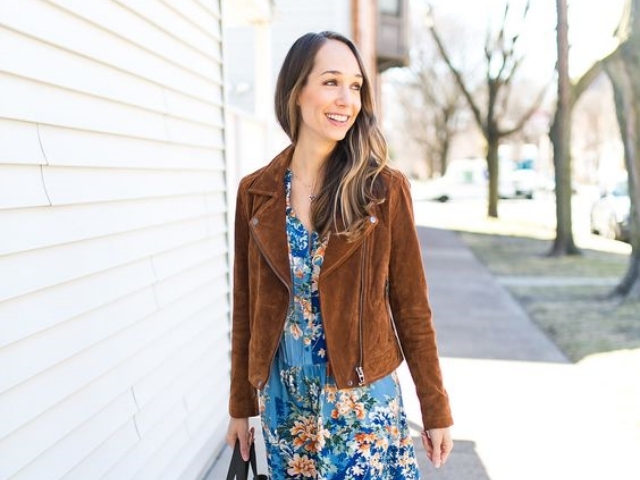 And no, you won’t have to loosen your purse strings getting expensive manicure treatments done. 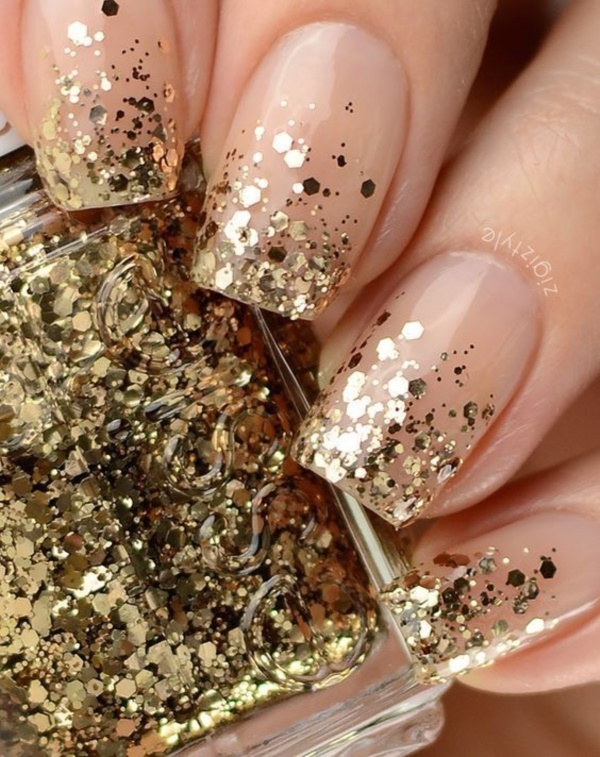 All you need to revamp the look of your hands is a little nail styling. 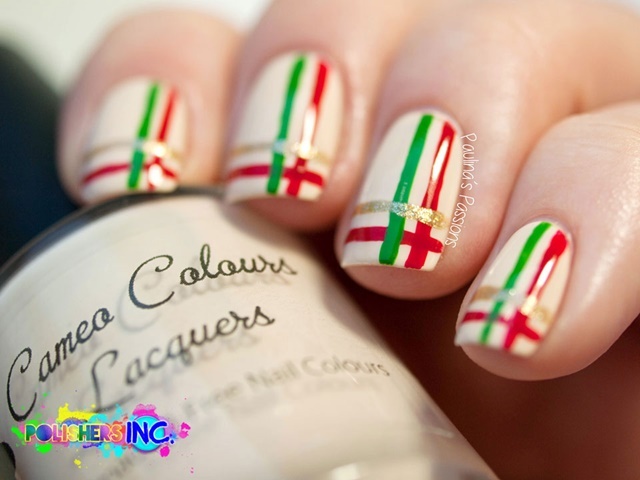 Get some paint on and lo! You are ready. 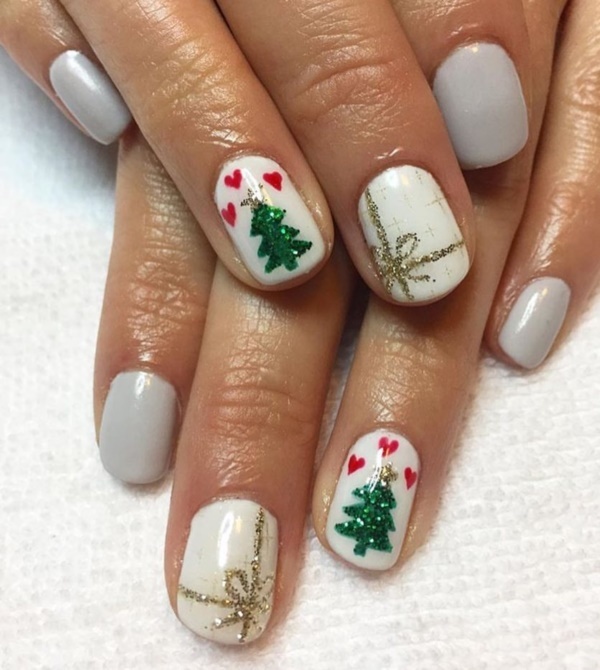 If you are not that creative, you can dope on these Easy Winter and Christmas Nails Designs to add fun to your nails. 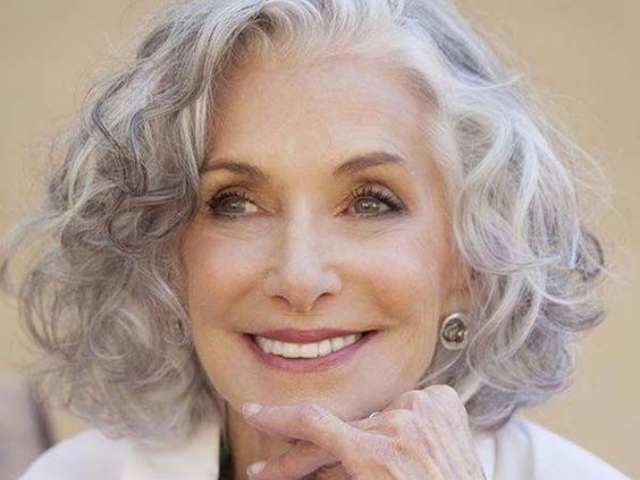 When it comes to Christmas, stars bear special significance. 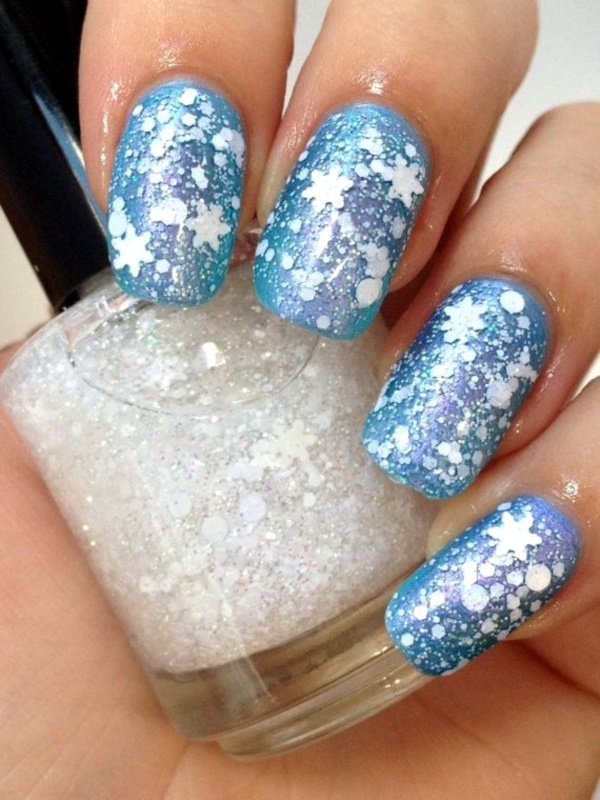 And when it comes to Easy Winter and Christmas Nails Designs, you simply can’t say ‘no’ to stars. 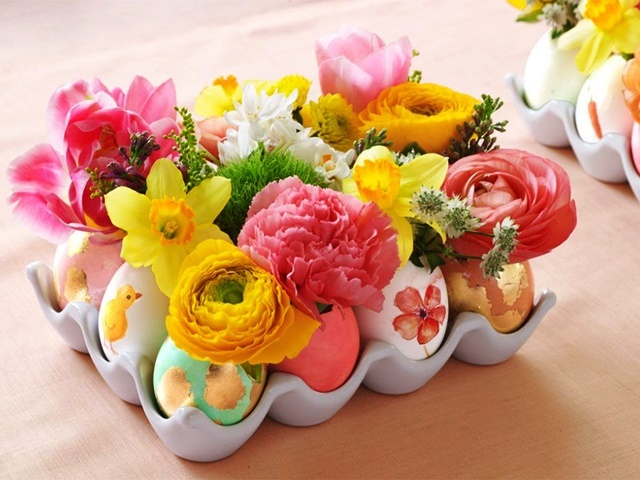 They are not just easy to create but also extremely fun. 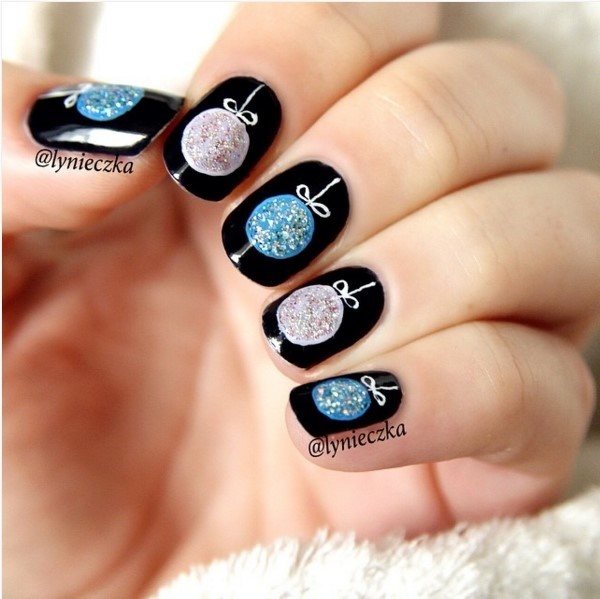 Make sure the stars are glittery, or else they will not pop out in your design. 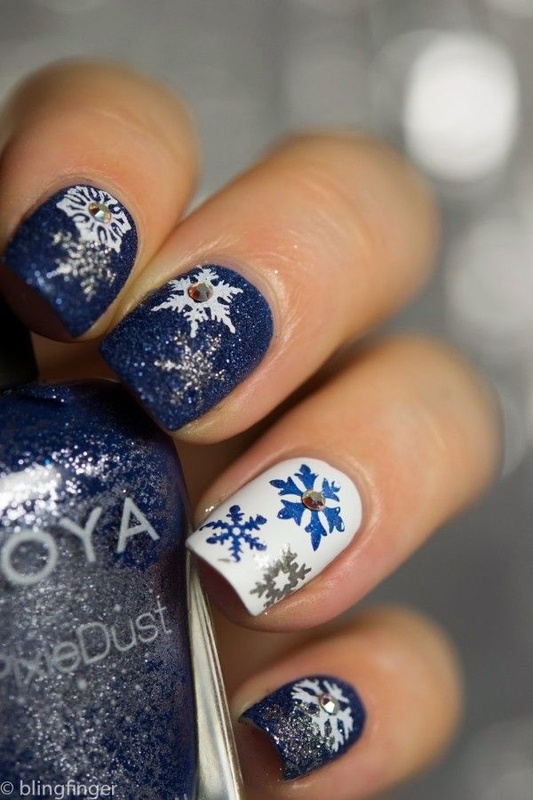 Whether you have long or short nails, if you are adorning them for Christmas, you cannot miss out on snowflakes. 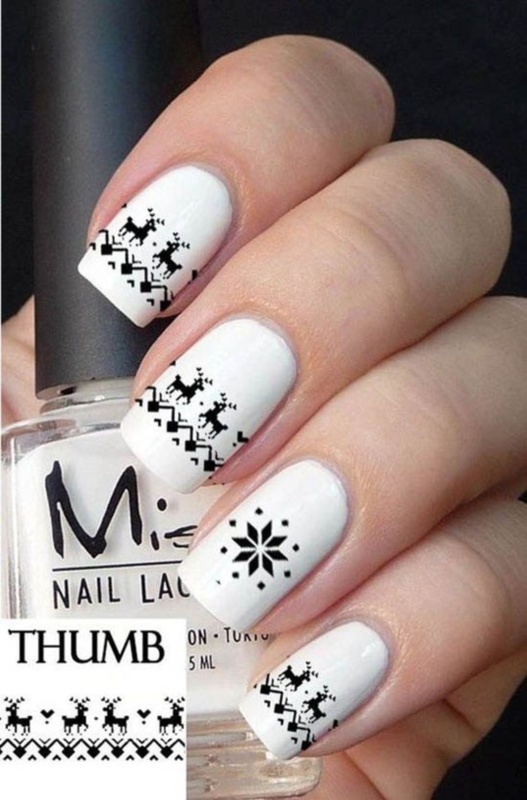 Make sure the base coat is dark, which will enable you to design beautiful white snowflakes on your nails.Have a look on some fall nail arts. 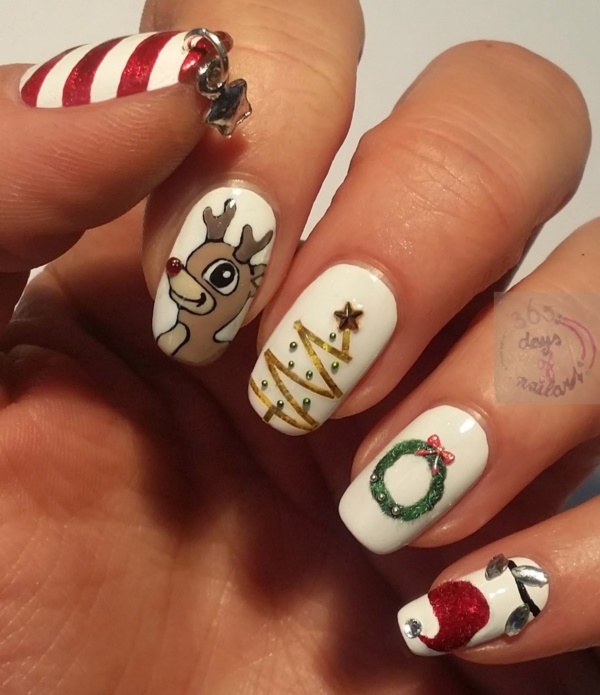 When we are talking about Easy Winter and Christmas Nails Designs, how can we forget reindeer horns? 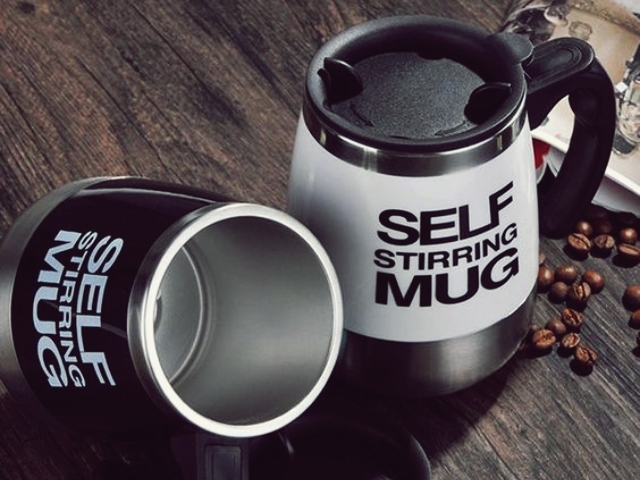 Sounds difficult? Well, not at all in reality! 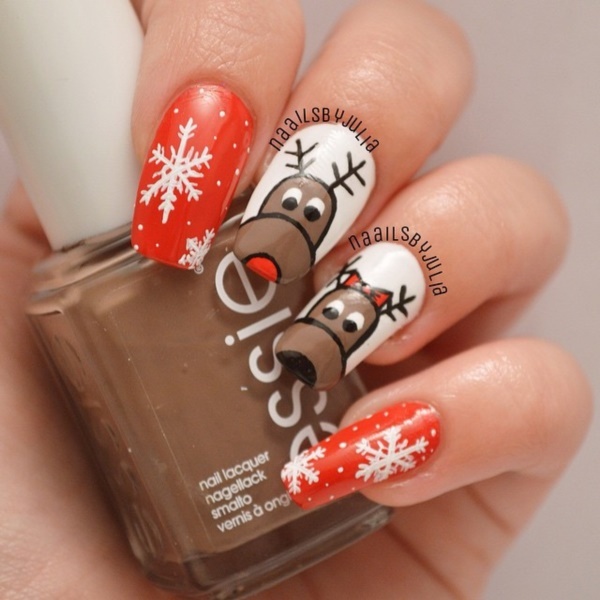 All you need is a few fine strokes and your reindeer horns are ready. 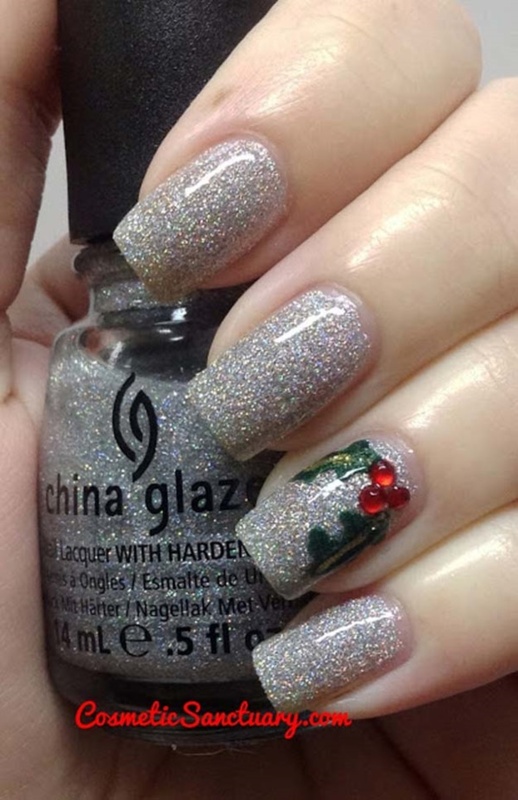 Add sparkles and other embellishments to make that festive feel pop out. 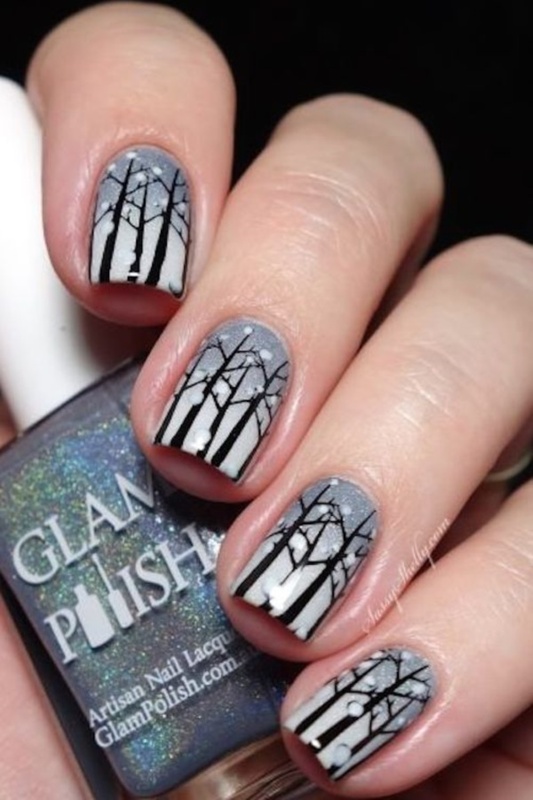 Keep all the nails painted plain for that monochromatic effect. 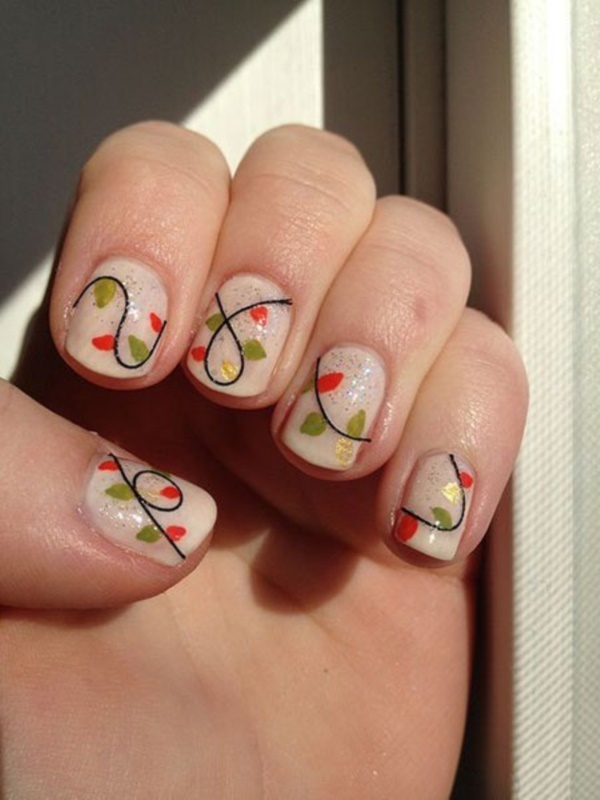 Leave the ring finger nail for decoration. Design a cone on it and then add a straight trunk at the base. 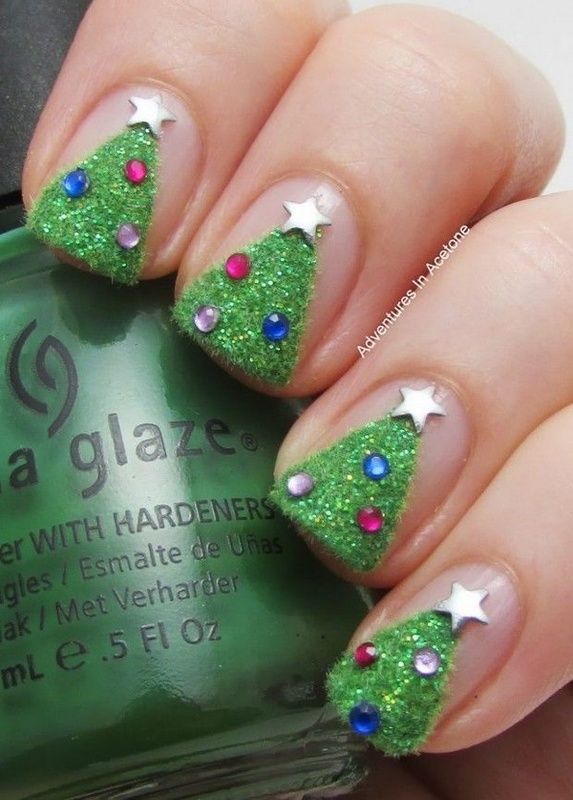 And that’s your Christmas tree! 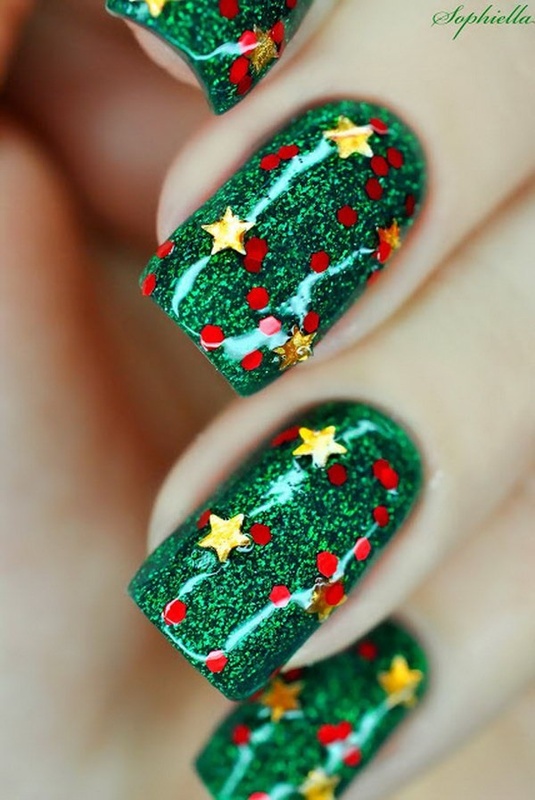 Use a green nail paint to offer it that tree effect. 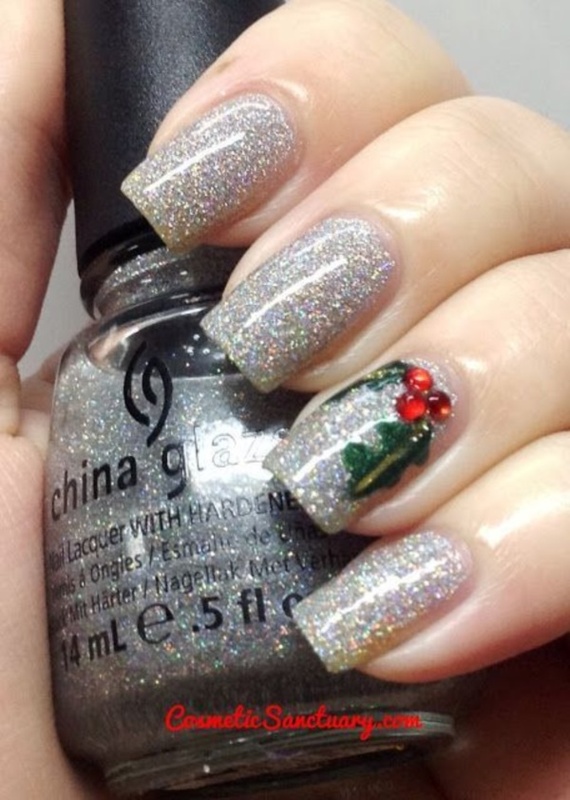 Christmas is all about chill and snow. 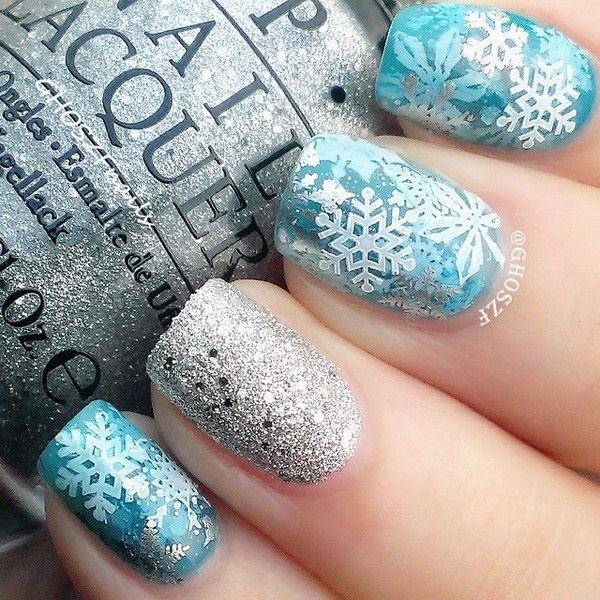 So, why not offer that snow effect to your nails. 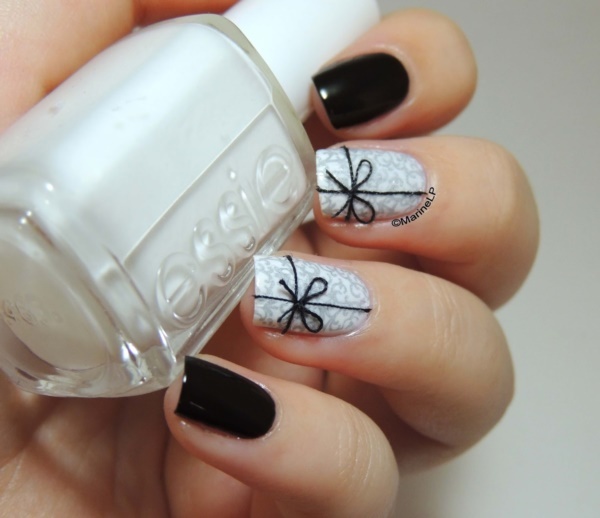 Paint the nails all black and then spray the edges with white nail paint. 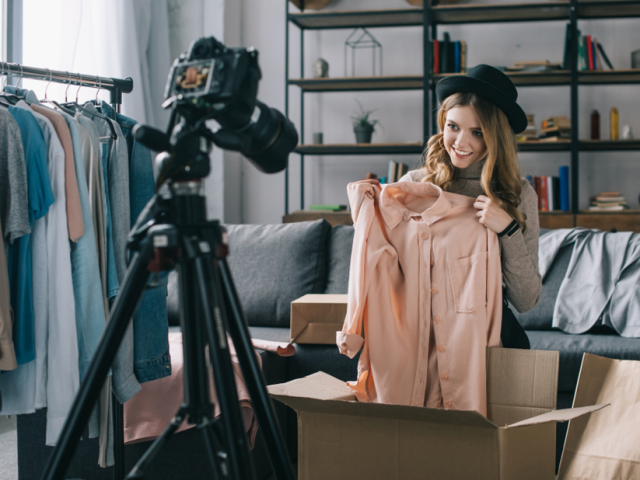 The finished result you are going to get is worth a million dollars. 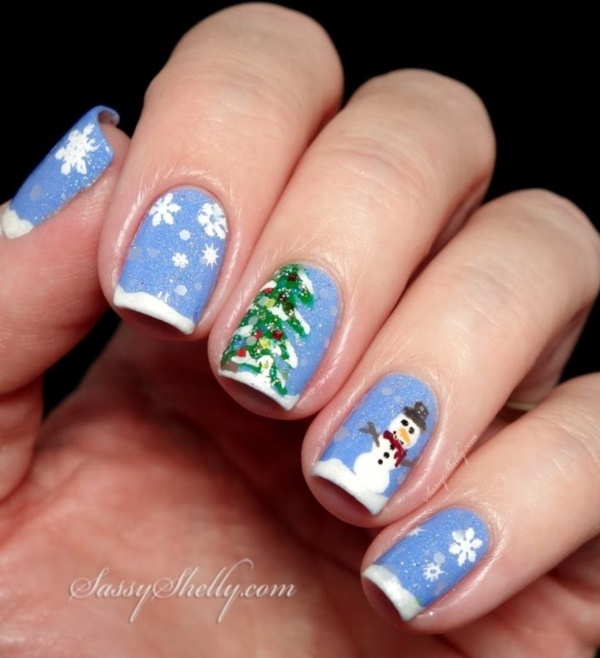 Do you know how easy it is to create the snowman on your nails? And guess what? 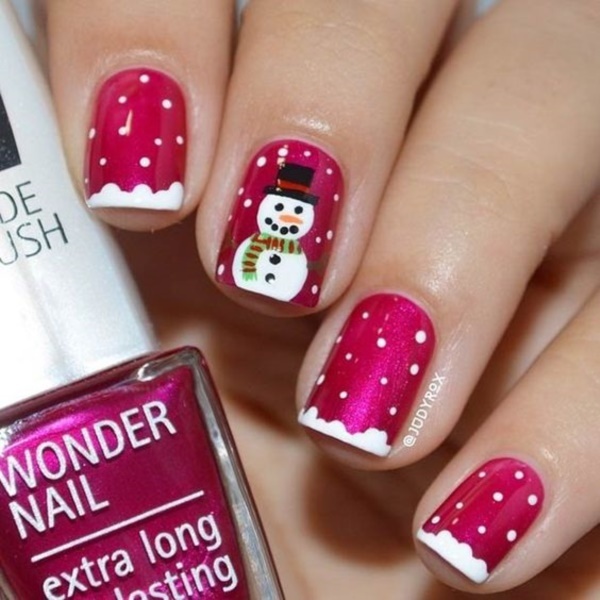 Snowman designs look super cute! 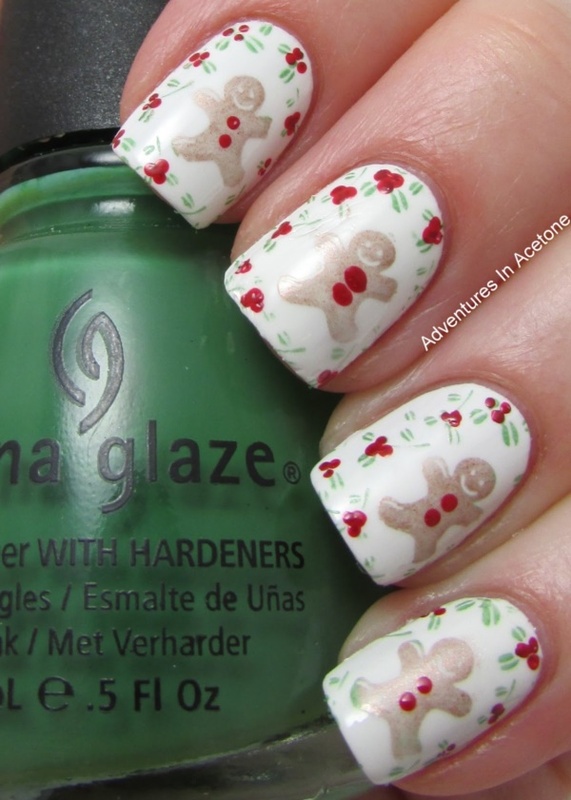 All you need is a dark nail paint for the base coat and a white nail paint for the snowman. And lo! 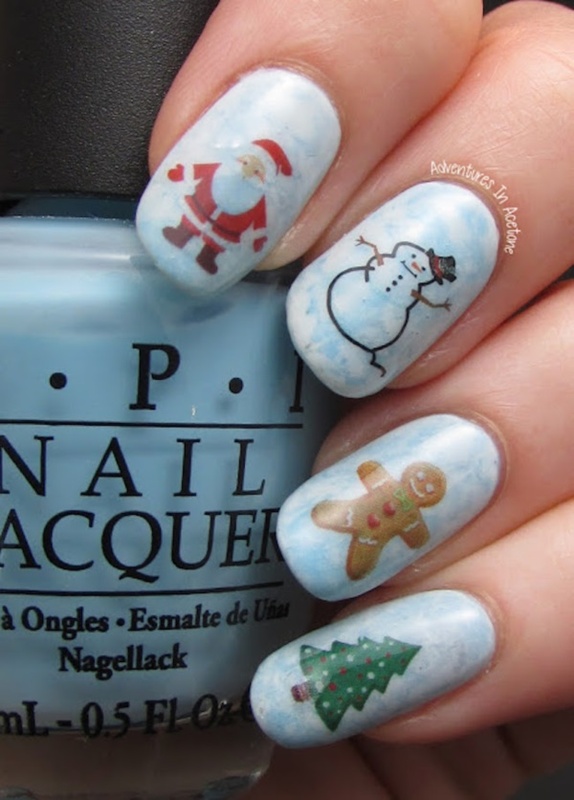 Your snowman design is ready. 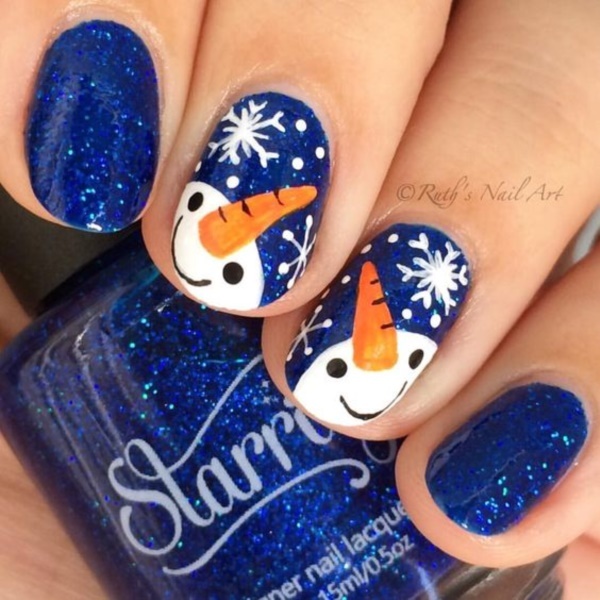 Don’t forget to create eyes on the snowman, lest it should look like a careless white patch.Most popular nail arts designs. 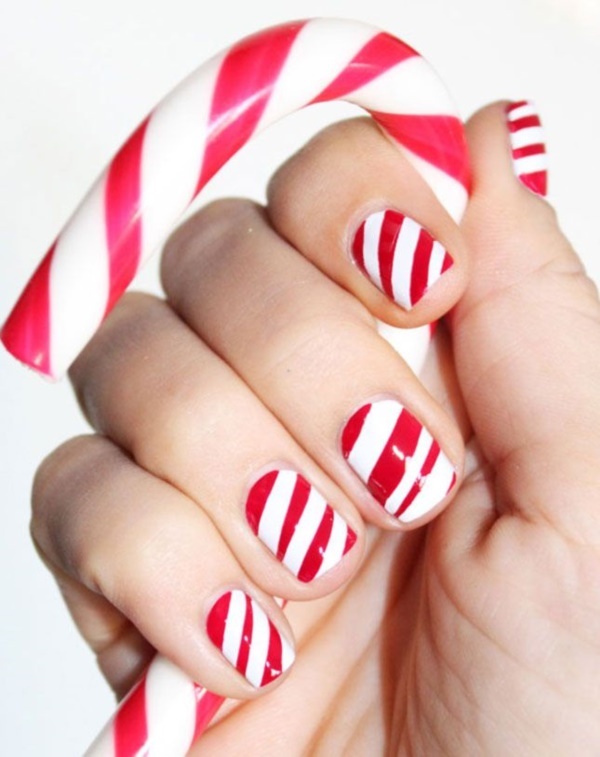 Do you love candy sticks? 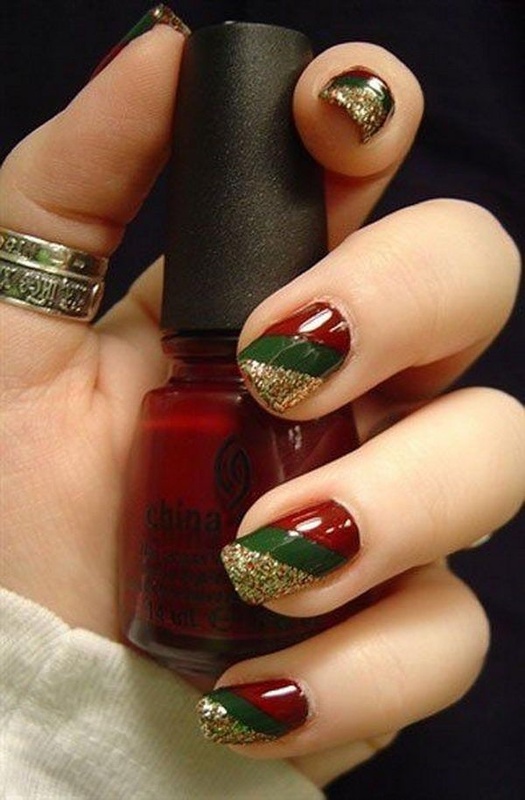 If yes, why not have them painted on your nails? 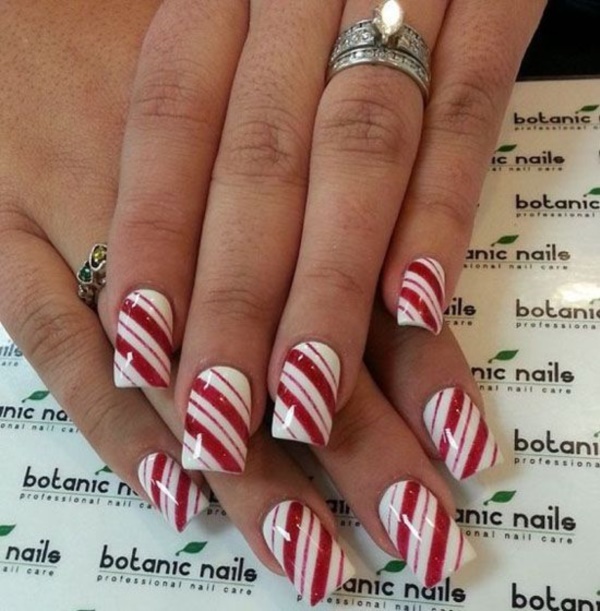 Well, candy sticks and Christmas has a strong connection. 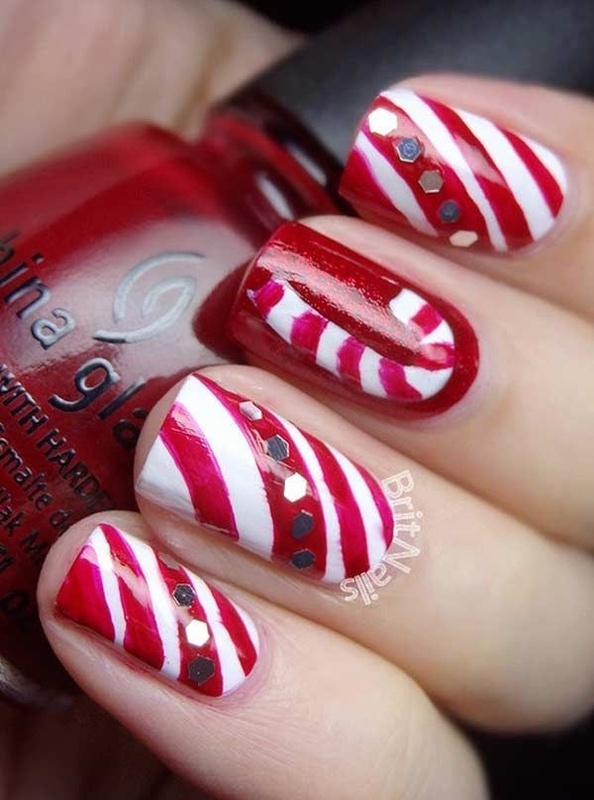 By getting your nails painted in red and while alternate strips, you will be able to bring out that Christmas candy stick effect pretty well. 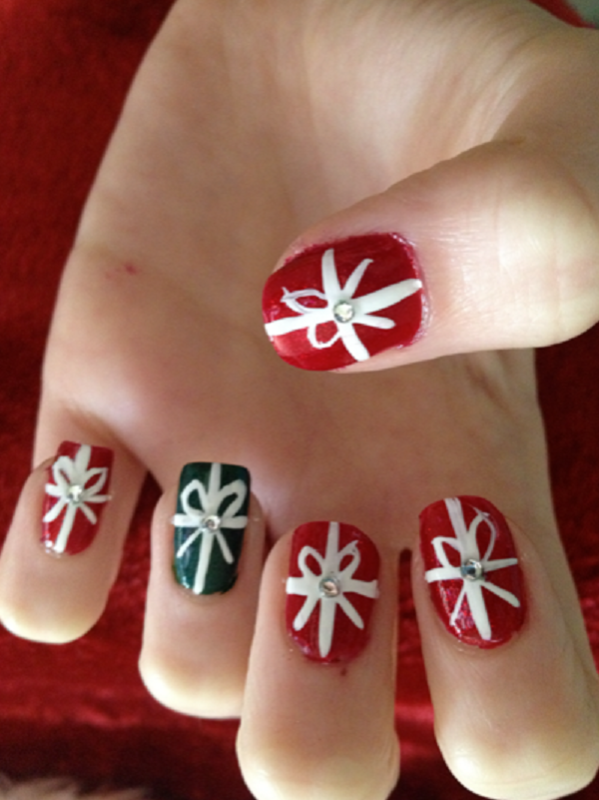 If the above-mentioned Easy Winter and Christmas Nails Designs don’t seem that easy for you, take the simple route. 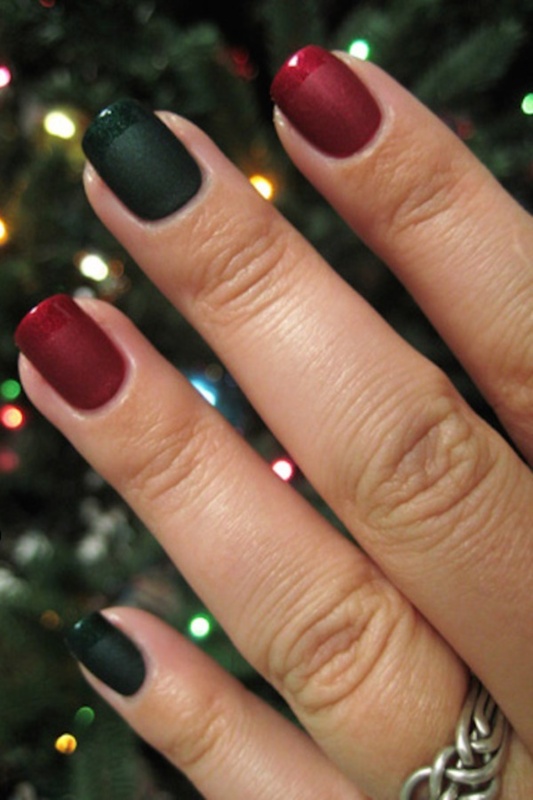 Paint your nails red and add green and white dots on it. 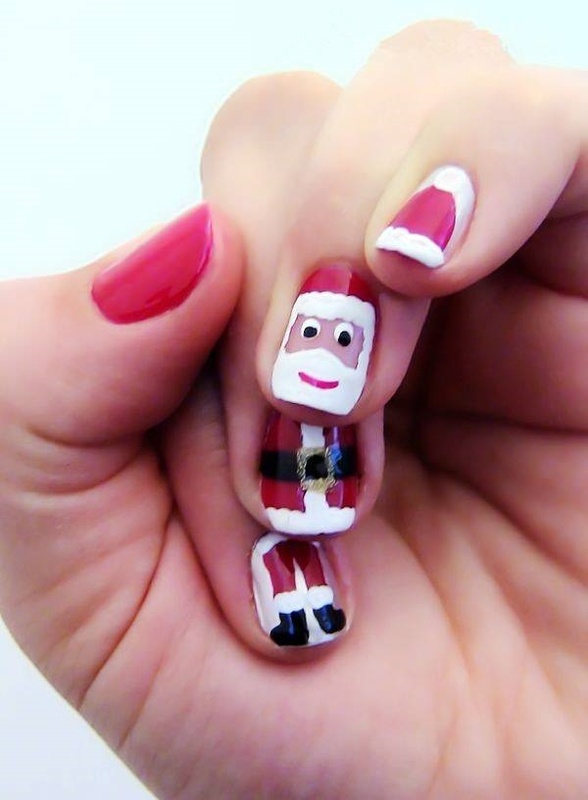 You won’t need this written on your nails that you have designed them for Christmas. 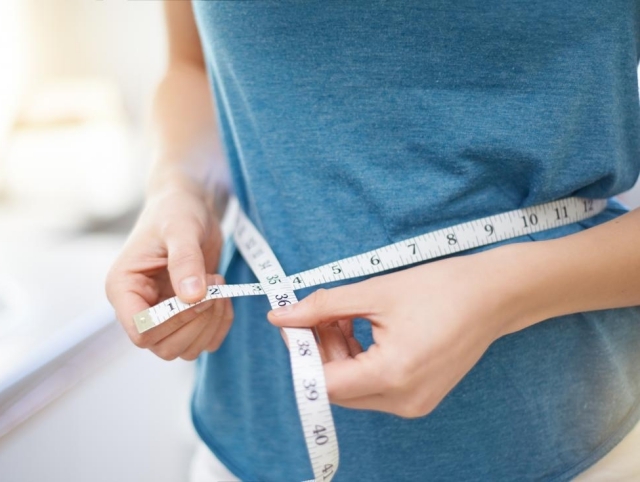 An added advantage is that you won’t have to spend a lot of time getting the design right. 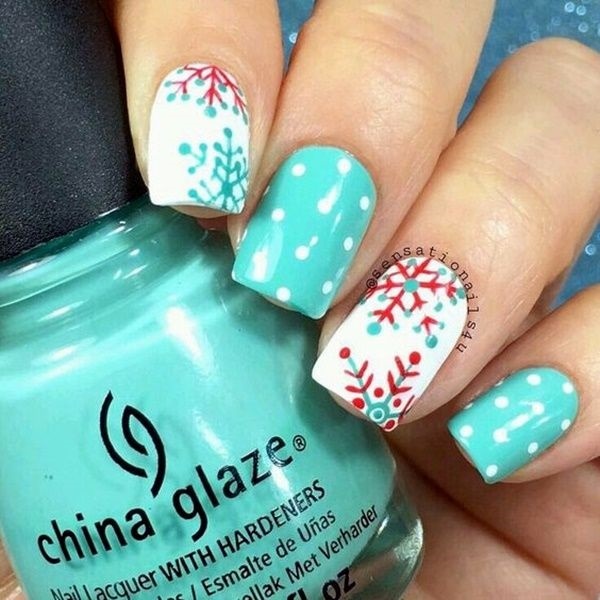 Dotted designs are easy to create and they look fun. 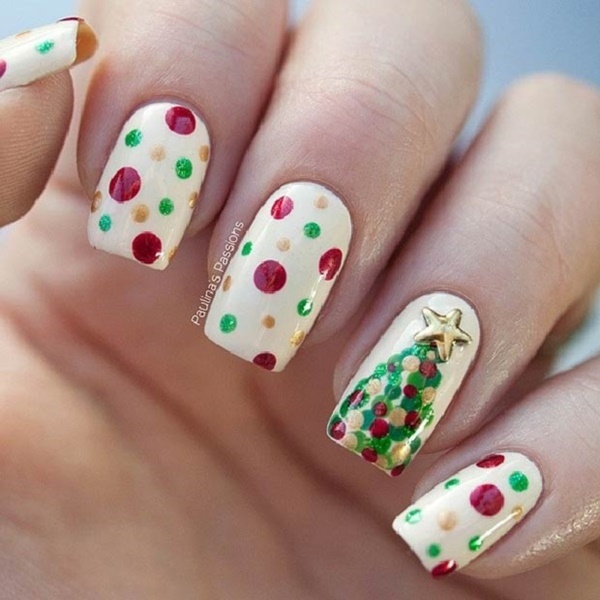 Aren’t these some really Easy Winter and Christmas Nails Designs to try out this season? Well, why not! 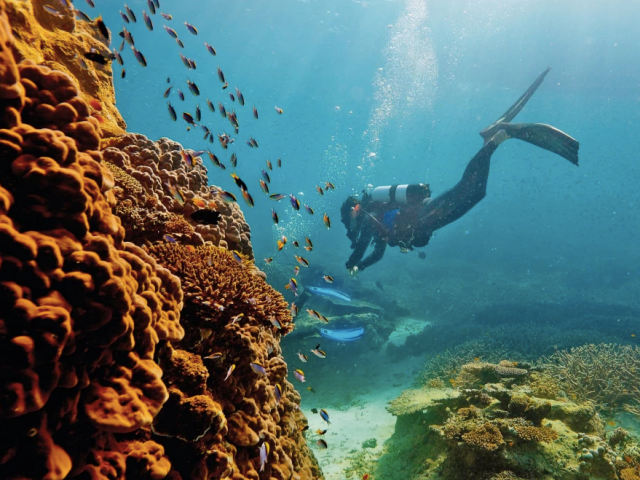 So, what makes you delay? 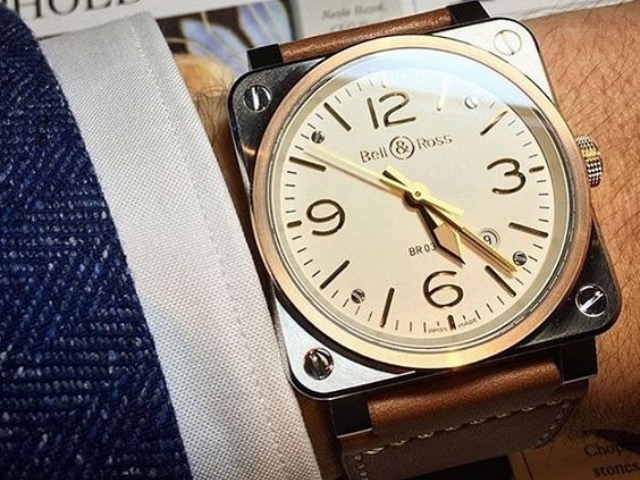 Choose the designs that impress you the most and get going!